In order to make your customers aware of your loyalty program, you need to promote it! Promotions should be enticing, clear and precise. Encourage your customers to enrol in the loyalty program by building a landing page. Example: 100% PURE have built a beautifully designed landing page to explain the benefits of the loyalty program and to encourage customers to enrol. TIP: Make sure you clearly explain the benefits to your customers and how they can get involved. Take full advantage of the traffic flow you receive from channels such as Facebook, Twitter, Instagram. Example: Spoiled Mama changed their Facebook cover photo to let customers know about their Black Friday deal. Why not use your Facebook cover photo to promote your loyalty program! Tip: Check out our article on using Facebook advertising to expand the reach of your loyalty program here. Set up promotional activities such as a double points week or an alluring rewards such as 100% off a product for the month. Time-limited promotions such as these will entice your customers to visit your store and make a purchase. 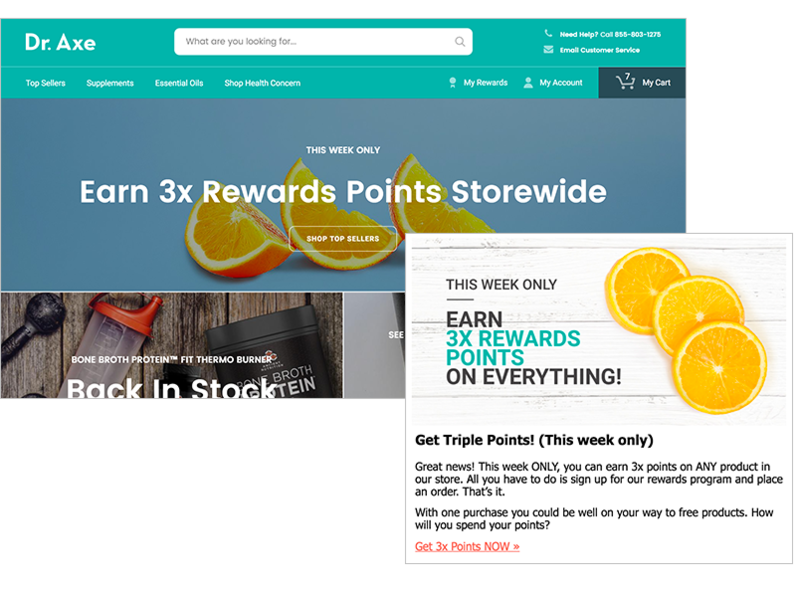 Example: Dr Axe regularly uses the loyalty program to run promotions, such as triple point weeks, seasonal offers and higher rewards for referrals. 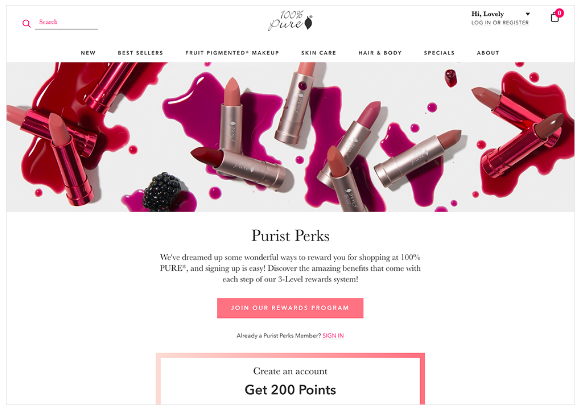 They also incorporate the loyalty program into all their email marketing and throughout their site for consistent messaging. TIP: If you decide to run a ''special reward'' for a limited time only - make sure you let your customers know they have to claim and use the reward before the promotion is over (before you delete it). As once the reward is deleted they will no longer be able to apply the voucher code at checkout. Visit your 'refer a friend' analytics by going to your 'Analytics' tab. Here you can see your most used social media channel for sharing this rule. TIP: Within your loyalty dashboard, by utilising your analytics tab you can see the customer that brings in the most referrals. Make sure you thank them to keep the referrals coming! You could always set up a banner or a popup on your store when you first launch your program so customers are aware that you now have a loyalty program. Example: The Pulse Boutique provides a great popup to let customers know about their loyalty program “Pulse Perks”, it tells them what rewards they can gain and how they can join. Competitions are a great way to get your customers involved. An excellent contest to set up would be to see who can bring in the most referred customers. At the end of the contests, make sure you give them a reward that is exciting and worth their time - at the end of the day they are bringing you more customers. TIP: Make sure you turn these referred customers into long-term customers. A great way to do this is to make sure they have an achievable reward after their first purchase with your store.